PLAYABLE ON ANY DVD PLAYER! 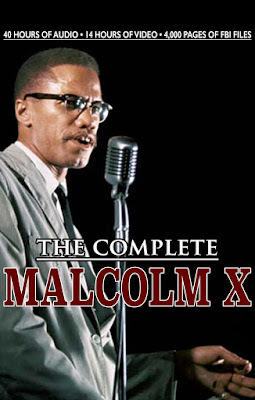 This 4-DVD collection assembles over six hours of speeches, debates and interviews by Malcolm X. Include his most important and most famous speeches. ONLY AVAILABLE FROM THIS SITE! 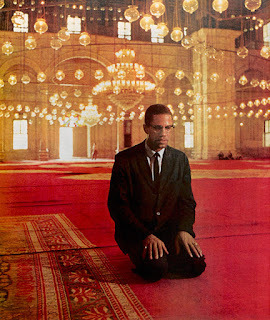 Click here to download THE COMPLETE MALCOLM X. More than 40 hours of audio, more than 14 hours of video, 4,000 pages of FBI Files and more! Available in one easily downloadable digital file OR DVD. Playable on any computer, tablet or mobile device. Click here for more information on the Martin Luther King Collection: Over 12 hours of video, 10 hours of audio, FBI files and more. The most complete collection of Martin Luther King material ever assembled. Click here for details on the Black Panther Collection. 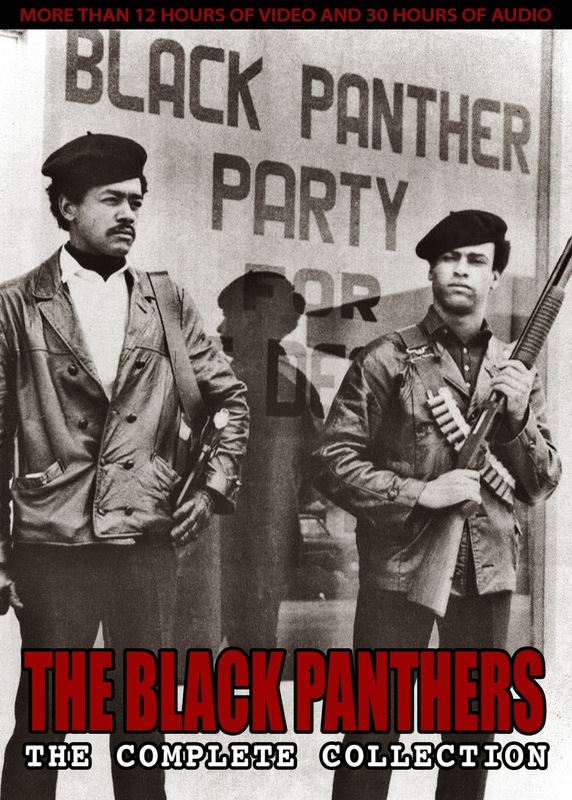 Includes works by Huey P. Newton, Bobby Seale, Fred Hampton and more. Includes over 12 hours of video, 30 hours of audio, more than 5,000 pages of FBI files and more! 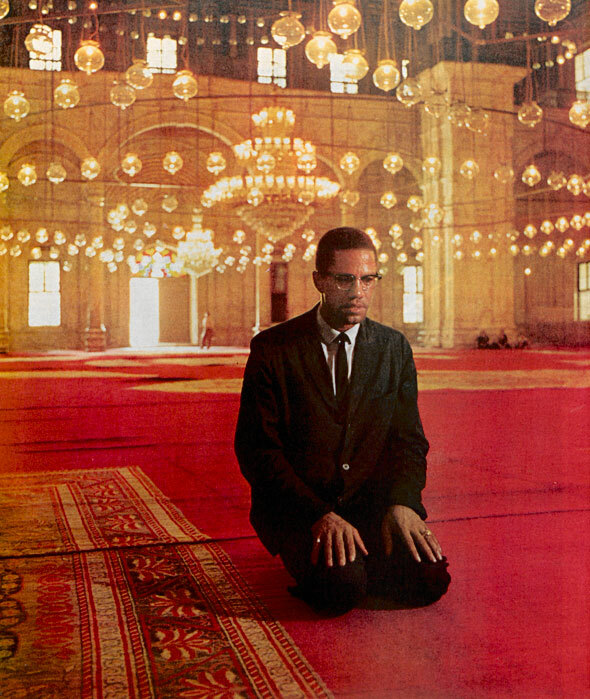 Click here to read the essay "WHO KILLED MALCOLM X?" and learn more about his assassination and the individuals who were responsible for the death of Malcolm X. 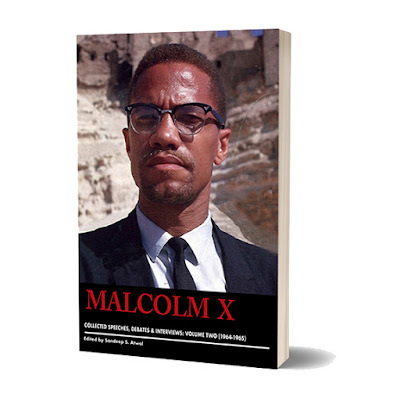 The response to this collection of Malcolm X material has been overwhelming. Click here to read reactions from people who have ordered this exclusive material. THE COMPLETE MALCOLM X: 40 Hours of Audio, 14 Hours of Video, 4,000 Pages of FBI Files and More! Malcolm X was one of the world's most important human rights leaders and an incredibly gifted speaker. Now he can be seen on a new 2-DVD collection of the most complete Malcolm X video material ever assembled. This collection includes 40 Hours of Audio, 14 hours of video, 4,000 pages of FBI Files and more. Order now and receive a 1,200 Page Malcolm X eBook FREE! Available on DVD or as easily downloadable files. Playable on any computer, iPhone or iPad! This is the most complete collection of Malcolm X speeches, debates and interviews ever assembled! Simply click on the links above to order. After payment, you will be immediately sent a link to download the Malcolm X Video Collection. For more information, or if you have ANY questions, please contact me! Order your copy of the Malcolm X Video Collection today...by any means necessary! 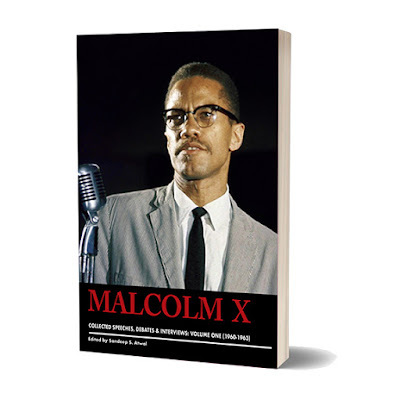 MALCOLM X: COLLECTED SPEECHES IN PAPERBACK! Never before available! These brand new paperbacks are the most complete collection of Malcolm X speeches ever assembled! This is the most comprehensive collection ever published of Malcolm X’s speeches, debates and interviews. No other collection includes this much material from one of the world’s most important human rights leaders. 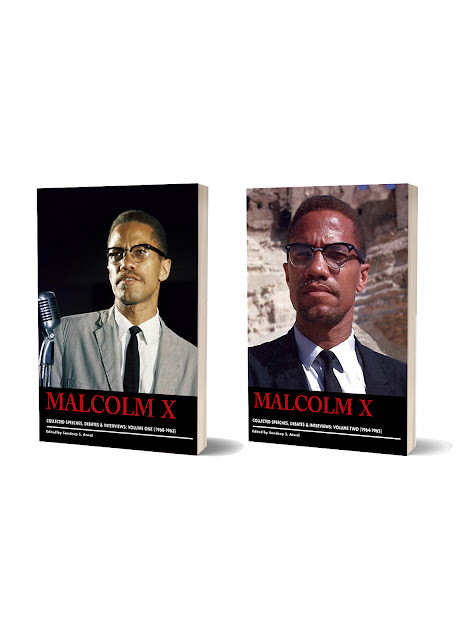 Arranged chronologically and containing the full version of never-before-published speeches, these two volumes show the evolution of Malcolm X’s philosophy from 1960 to 1965. These two volumes contain more than 80 speeches, debates and interviews by Malcolm X including some of his most famous speeches including, “The Ballot or the Bullet”, “A Message to the Grassroots” and his debate at the Oxford Union. There has NEVER been a collection like this! This collection is available ONLY through this website! All orders processed within 3-5 business days. 100% guaranteed. If unstatisfied, please return for full refund. The members of the revolutionary Black Panther party were the political descendants of Malcolm X and worked to put his philosophy into action. Founded by Huey P. Newton and Bobby Seale, the organization was founded to put an end to police brutality in black neighborhoods. This new collection is the most complete collection of Black Panther material ever assembled. Included are video, audio and text files by Huey P. Newton, Bobby Seale, Fred Hampton, H. Rap Brown, Eldridge Cleaver and more. This is the most complete collection of Black Panther material every assembled and is available ONLY through this site! Simply click on the links above to order the BLACK PANTHER COLLECTION. After payment, you will be immediately sent a link to download the collection. All video is easily played on any computer, Mac or PC, as well as iPhone, iPad or other mobile device. For more information, or if you have ANY questions, please contact me. Order your copy today! 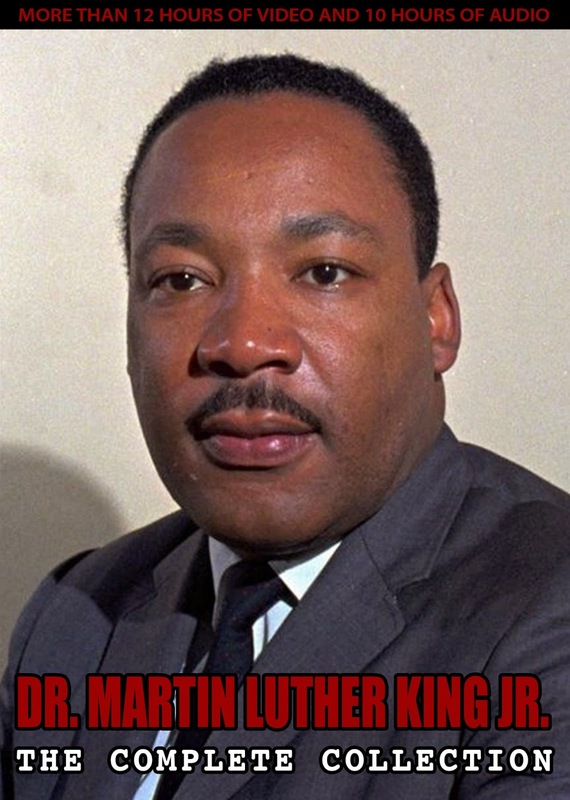 THE COLLECTED WORKS OF DR. MARTIN LUTHER KING JR.
Dr. Martin Luther King was recognized around the world as the leader of the Civil Rights Movement in the United States and was one of the most respected human rights leaders in the world. He can now be seen and heard on a new collection that includes over 12 hours of video, 10 hours of audio, over 300 pages of speeches and a collection of FBI files. This digital collection is easily downloadable and is playable on any computer, iPhone or iPad! This is an excellent companion to the Malcolm X Audio Collection. Click on the link below to order. More than 226 pages of FBI Files. ORDER NOW AND RECEIVE THE 800-page Malcolm X eBook ABSOLUTELY FREE! Simply click on the links above to order the DR. MARTIN LUTHER KING: THE COMPLETE COLLECTION. After payment, you will be immediately sent a link to download the collection. All video is easily played on any computer, Mac or PC, as well as iPhone, iPad or other mobile device. For more information, or if you have ANY questions, please contact me. Order your copy today! I am not a racist, and I do not subscribe to any of the tenets of racism. But the seed of racism has been firmly planted in the hearts of most American whites ever since the beginning of that country. This seed of racism has rooted itself so deeply in the subconsciousness of many American whites that they themselves ofttimes are not even aware of its existence, but it can be easily detected in their thoughts, their words, and in their deeds. In the past I permitted myself to be used by Elijah Muhammad, the leader of the sect known as the Black Muslims, to make sweeping indictments of all white people, the entire white race, and these generalizations have caused injuries to some whites who perhaps did not deserve to be hurt. Because of the spiritual enlightenment which I was blessed to receive as the result of my recent pilgrimage to the Holy City of Mecca, I no longer subscribe to sweeping indictments of any one race. My religious pilgrimage, Hajj, to Mecca has given me a new insight into the true brotherhood of Islam, which encompasses all the races of mankind. The pilgrimage broadened my scope, my mind, my outlook, and made me more flexible in approaching life’s many complexities and in my reactions to its paradoxes. At Mecca I saw the spirit of unity and true brotherhood displayed by tens of thousands of people from all over the world, from blue-eyed blonds to black-skinned Africans. This served to convince me that perhaps some American whites can also be cured of the rampant racism which is consuming them and about to destroy that country. I am now striving to live the life of a true Sunni Muslim. In the future I intend to be careful not to sentence anyone who has not first been proven guilty. I must repeat that I am not a racist nor do I subscribe to the tenets of racism. I can state in all sincerity that I wish nothing but freedom, justice, and equality, life, liberty, and the pursuit of happiness for all people. However, the first law of nature is self-preservation, so my first concern is with the oppressed group of people to which I belong, the twenty-two million Afro-Americans, for we, more than any other people on earth today, are deprived of these inalienable human rights. But time is running out for America. The twenty-two million Afro- Americans are not yet filled with hate or a desire for revenge, as the propaganda of the segregationists would have people believe. The universal law of justice is sufficient to bring judgment upon the American whites who are guilty of racism. The same law will also punish those who have benefited from the racist practices of their forefathers and have done nothing to atone for the “sins of their fathers.” Just look around on this earth today and see the increasing troubles this generation of American whites is having. The “sins of their fathers” are definitely being visited upon the heads of this present generation. Most intelligent American whites will admit freely today without hesitation that their present generation is already being punished and plagued for the evil deeds their forefathers committed when they enslaved millions of Afro-Americans in that country. But it is not necessary for their victim—the Afro-American—to seek revenge. The very conditions the American whites created are already plaguing them into insanity and death. They are reaping what their forefathers have sown. Their chickens are coming home to roost. And we, the twenty-two million Afro-Americans, their victims, need only to spend more time removing the “scars of slavery” from the backs and the mind of our own people, physical and mental scars left by four hundred years of inhuman treatment there in America at the hands of white racists. The key to our success lies in united action. Lack of unity among the various Afro-American groups involved in our struggle has always been the reason we have failed to win concrete gains in our war against America’s oppression, exploitation, discrimination, segregation, degradation, and humiliation. Before the miserable condition of the twenty-two million “second-class citizens” can be corrected, all the groups in the Afro-American community must form a united front. Only through united efforts can our problems there be solved. How can we get the unity of the Afro-American community? Ignorance of each other is what has made unity impossible in the past. Therefore we need enlightenment. We need more light about each other. Light creates understanding, understanding creates love, love creates patience, and patience creates unity. Once we have more knowledge, light, about each other we will stop condemning each other and a united front will be brought about. All twenty-two million Afro-Americans have the same basic goal, the same basic objective. We want freedom, justice, and equality, we want recognition and respect as human beings. We are not divided over objectives, but we have allowed our racist enemies to divide us over the methods of attaining these common objectives. Our enemy has magnified our minor points of difference, then maneuvered us into wasting our time debating and fighting each other over insignificant and irrelevant issues. The present American “system” can never produce freedom for the black man. A chicken cannot lay a duck egg because the chicken’s “system” is not designed or equipped to produce a duck egg. The system of the chicken was produced by a chicken egg and can therefore reproduce only that which produced it. The American system, political, economic, and social, was produced from the enslavement of the black man, and this present “system” is capable only of perpetuating that enslavement. In order for a chicken to produce a duck egg, its system would have to undergo a drastic and painful revolutionary change...or revolution. So be it with America’s enslaving system. In the past, the civil rights groups in America have been foolishly attempting to obtain constitutional rights from the same government that has conspired against us to deny our people these rights. Only a world body, a world court, can be instrumental in obtaining those rights which belong to a human being by dint of his being a member of the human family. As long as the freedom struggle of the twenty-two million Afro- Americans is labeled a civil rights issue it remains a domestic problem under the jurisdiction of the United States, and as such, bars the intervention and support of our brothers and sisters in Africa, Asia, Latin America, as well as that of the well-meaning whites of Europe. But once our struggle is lifted from the confining civil rights label to the level of human rights, our freedom struggle has then become internationalized. Just as the violation of human rights of our brothers and sisters in South Africa and Angola is an international issue and has brought the racists of South Africa and Portugal under attack from all other independent governments at the United Nations, once the miserable plight of the twenty-two million Afro-Americans is also lifted to the level of human rights, our struggle then becomes an international issue, and the direct concern of all other civilized governments. We can then take the racist American government before the World Court and have the racists in it exposed and condemned as the criminals that they are. Why should it be necessary to go before a world court in order to solve America’s race problem? One hundred years ago a civil war was fought supposedly to free us from the Southern racists. We are still the victims of their racism. Lincoln’s Emancipation Proclamation was supposedly to free us. We are still crying for freedom. The politicians fought for amendments to the Constitution supposedly to make us first-class citizens. We are still second-class citizens. In 1954, the U.S. Supreme Court itself issued a historic decision outlawing the segregated school system, and ten years have passed and this law is yet to be enforced even in the Northern states. If White America doesn’t think the Afro-American, especially the upcoming generation, is capable of adopting the guerrilla tactics now being used by oppressed people elsewhere on this earth, she is making a drastic mistake. She is underestimating the force that can do her the most harm. A real honest effort to remove the just grievances of the twenty-two million Afro-Americans must be made immediately, or in a short time it will be too late.